Dickies Arena, which is scheduled to open November 2019, is an exceptional facility located on the Will Rogers Memorial Center campus. 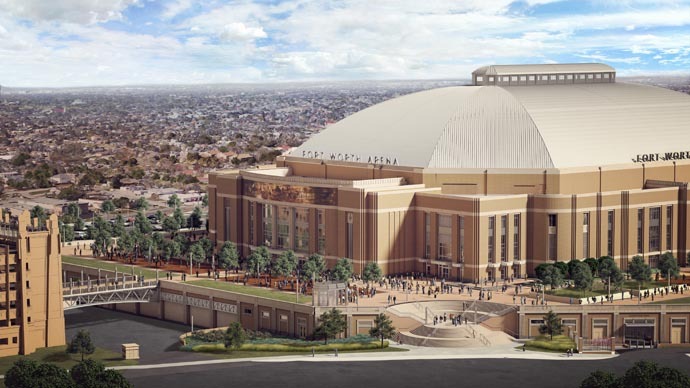 The arena will attract a wide variety of high-quality entertainment options to the Fort Worth area including concerts, sporting events and family shows, as well as host the month-long Fort Worth Stock Show and Rodeo. In addition to exciting entertainment and sporting events, Dickies Arena will have the capacity to accommodate conventions, exhibit events, business meetings and private receptions with flexible meeting and event spaces ranging in size from 685 square feet to 91,315 square feet.